I love seeing how other beauty bloggers store their beauty products. I pop all my nail varnishes in a glass kilner jar and store most of my make up in little beauty bags. Recently, I was sent this lovely box from beauty-boxes.com. 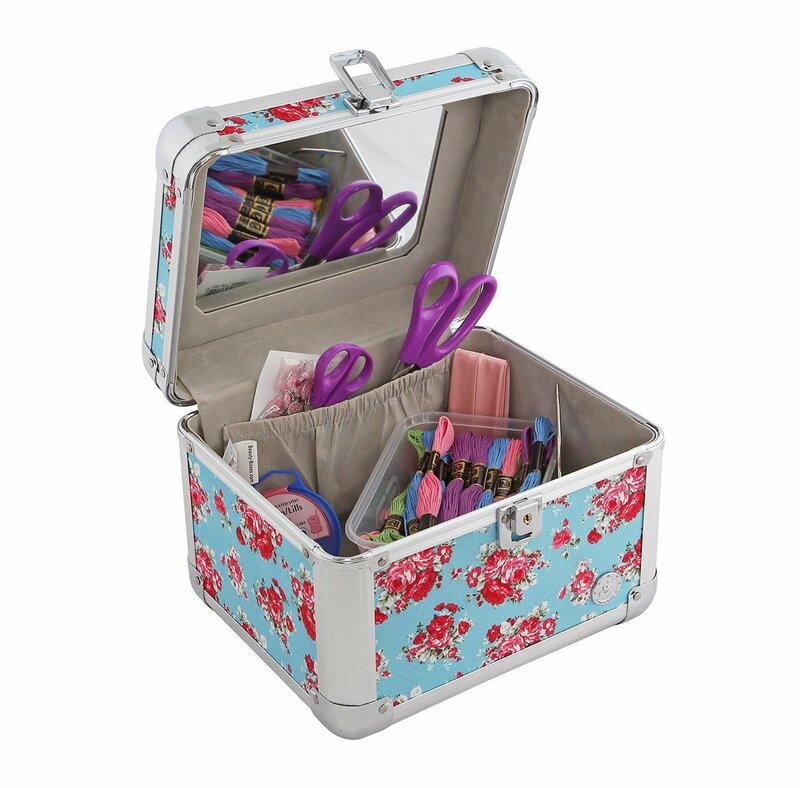 They sell a wide range of beauty boxes to keep your make up organised. 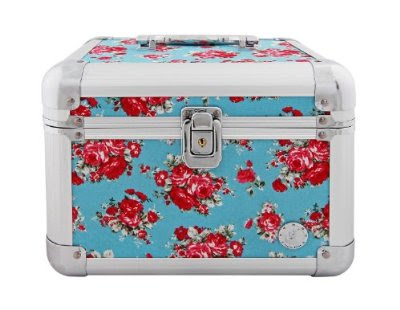 I fell in love with this cath kidson-esque floral print instantly, look how pretty it is! The inside is really spacious and has a little mirror on the top and also a pouch for holding things such a make up brushes. The quality of the box is very good, beauty-boxes.com actually offer a years warranty on any defective materials which is reassuring! The box is sturdy so i'll be using it when i take my make up travelling with me. It also comes with a lock to keep your contents safe. I thought, as it is nearly Christmas (13 days people!) this would make such a cute gift idea. 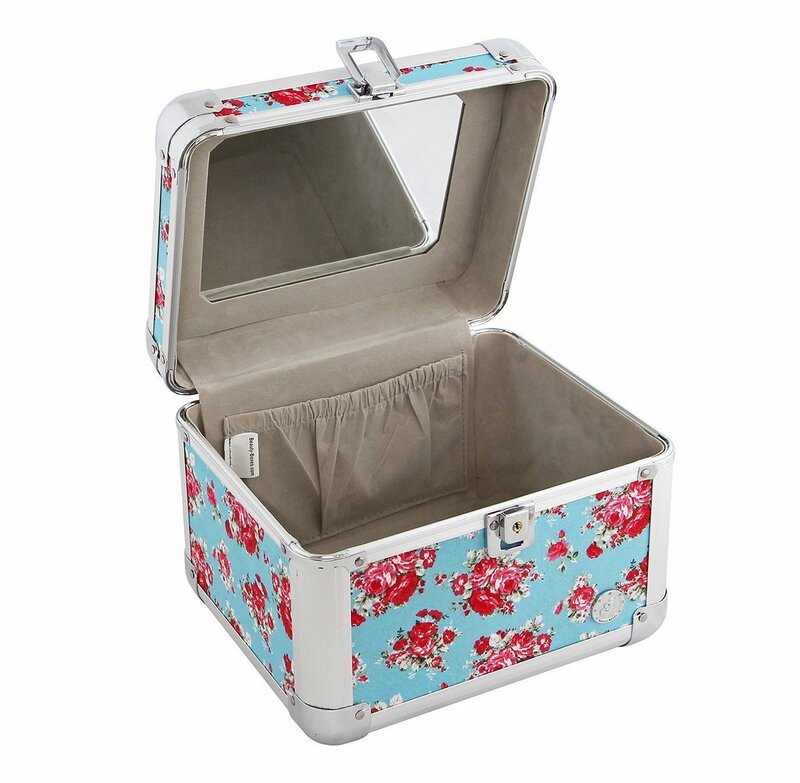 If you filled it with beauty products,below, you could make a DIY hamper & whoever you give it to can re-use the box!